Happy Tuesday! This post meant to be up on the blog yesterday but due to a little update on the blog theme I just simply couldn’t write up my post. Anyways. Yesterday we kicked off a great series with 11 other fantastic bloggers. 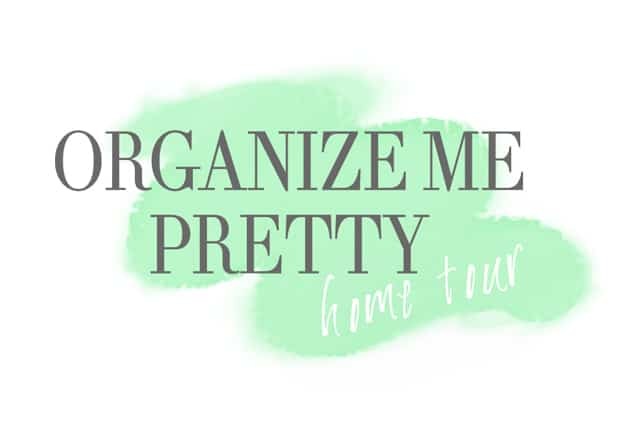 It’s called organize me pretty, hosted by Ursula at Home made by Carmona. The next 2 weeks all these talented bloggers will show their favorite organized spaces in their home. Here is the list of bloggers , go visit them if you have a chance. 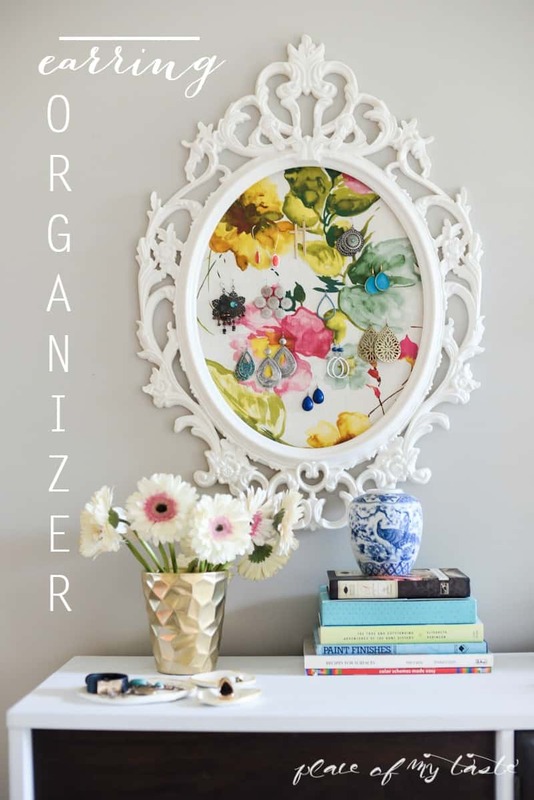 Speaking of organizing….I started a series in August and I posted one organized space in the house each week. Guys, that was such a motivation for me to actually get my mess organized and write about it each week. Find my organized spaces HERE. I love fashion and more than anything, I love fashion jewelry. I love the big long earrings but I also love small sophisticated studs as well. Couple years ago I made an earring holder but my style has changed over the years and it wasn’t fitting my taste anymore, or so to say it wasn’t fitting into my bedroom decor. I still has not revealed our master bedroom…but it’s soon coming up, my Friends! I purchased this IKEA picture frame sometimes last year with the intention of making an earring holder out of it. 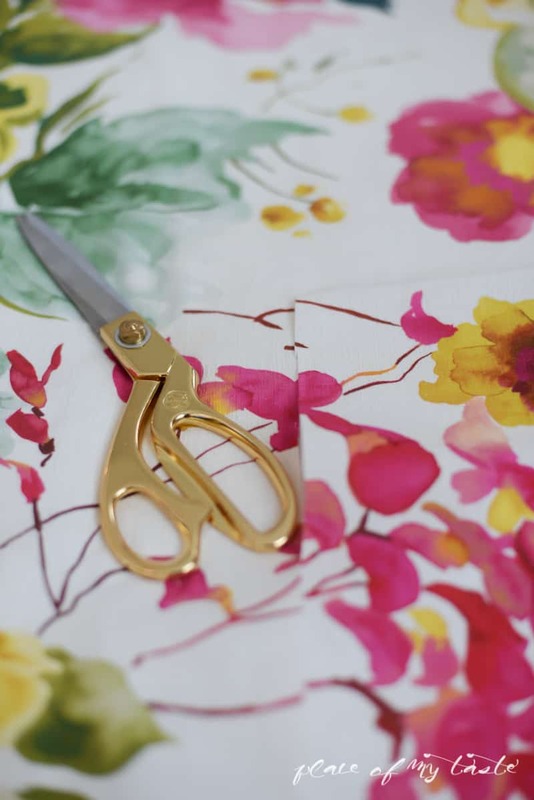 The inspiration has not happened until I found this gorgeous piece of fabric. The master bedroom is coming together very nicely and despite my original plan with yellow and gray, now there are much more colors in the room. I kinda feel like, one project inspires the next and it is a never ending story. When I started this little tiny blog, I was afraid that I won’t have enough to show my audience and now it’s kind of like the other way around now… I don’t have enough days and time to show you everything I really wish. I usually get inspired by pretty colors and fabrics. This gorgeous fabric screamed to me from the clearance table. Yeah….I am not only lucky to find a fabulous fabric but the price was a jack pot too. They only had about 1.5 yards and I only paid $3.99. Whoo-hoo. It had the raspberry pink and yellow accents that I have around in the bedroom already. I knew that it would be a perfect piece for my earring organizer. I cut the fabric to a little bigger size then the inside opening of the frame and I glued the fabric to the frame with my hot glue gun. Super easy and quick project with a big impact. I hang the frame right above my (mid century modern) dresser so I can easily reach my earrings on my busy mornings. Now each pair of earrings are together. 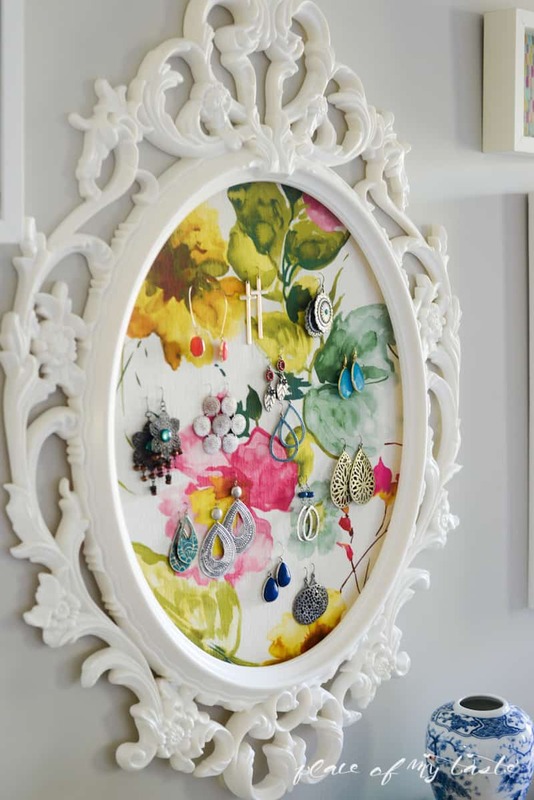 Such a pretty and stylish way to display my earrings, don’t you think? This is SO beautiful Aniko!!! 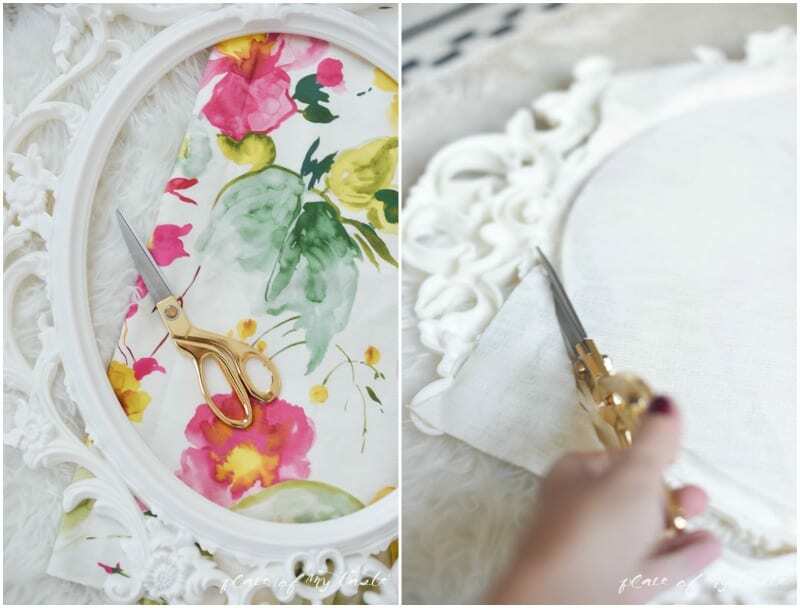 That fabric is STUNNING and looks so perfect with the vintage look of the IKEA frame! Absolutely PERFECT! Great new theme and love this project!! Super cue!! That fabric is so fun and colorful!! LOVE! Love love love everything! The pattern is perfect. 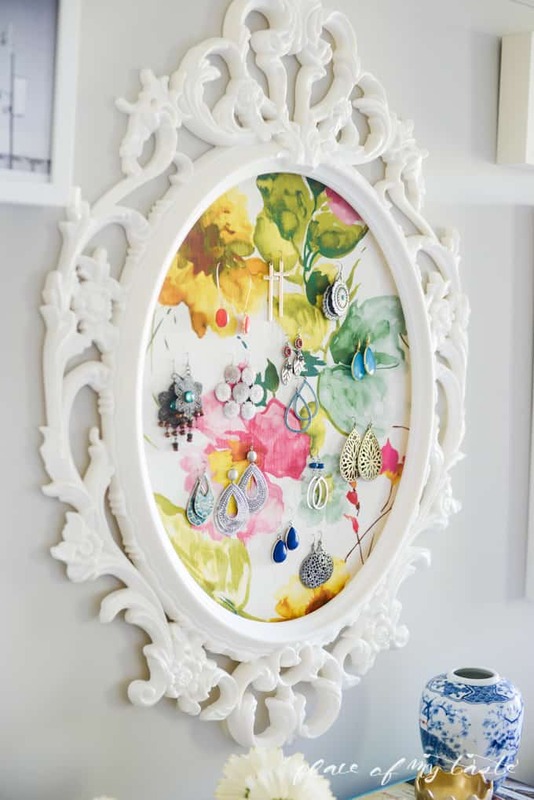 The colors are perfect and the frame is perfect! Pinned! This is so pretty and useful Aniko! I love that fabric! This is gorgeous, girl! 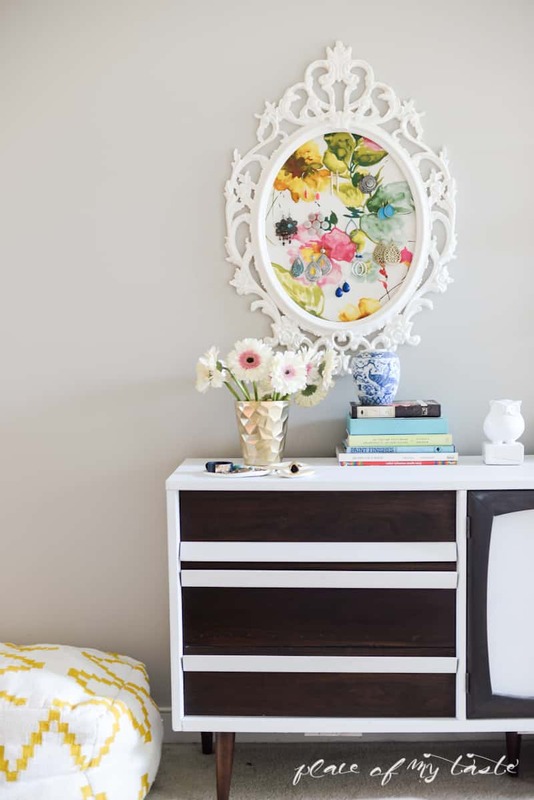 I’m definitely going to have to make one of these for my bedroom makeover! I love the fabric, Aniko! It’s really beautiful! Such a useful and lovely piece of art you’ve created! Gorgeous fabric, and the frame is so beautiful!! Pretty but I have an “engineering” question. How do you attach the earrings? Just poke them through the fabric? 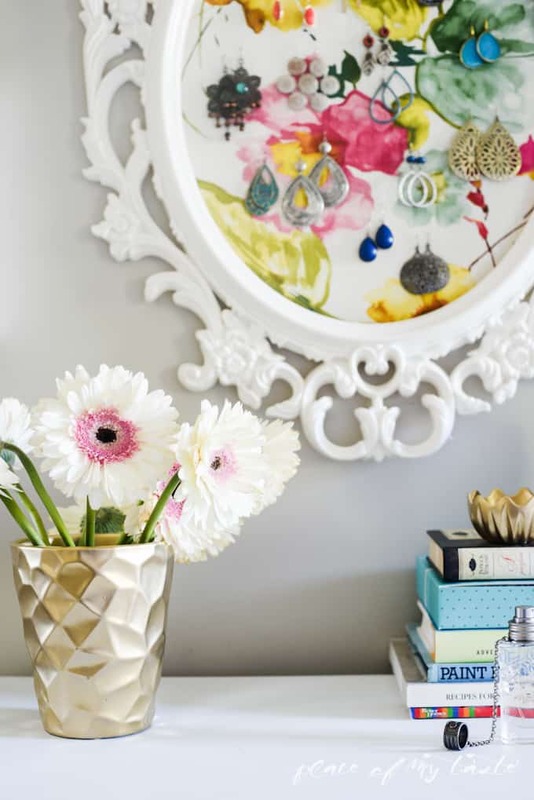 Do you take the mirror off the wall to remove the studs? I came to visit from iHeart Organizing after seeing this project and have fallen in love! Definitely following. I want those scissors! They are gorgeous! Aniko, the fabric is ridicously beautiful and the frme too ! I love this idea but what do you do with the backs? The rubber stopper things on the back of drop earrings? Yep, you can not put on the rubber stoppers…I have all the rubber stopper from my earrings in a little bowl.I always loose them tho!Thanks for visiting! love that fabric. where did you find it? how o you put the earrings in the fabric? anything behind to hold them?